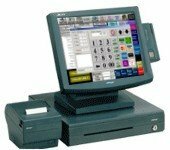 Built upon the award-winning, highly reliable Plateau™ Operating System, the Orion™ Restaurant Point of Sale Solution features state-of-the-art features and interface design and an extremely flexible component architecture, all at a fraction of the price of comparable products. The Plateau™ operating system provides a rock-solid foundation for the Orion™ system, ensuring a stability and reliability unsurpassed by other systems. In combination with a highly redundant application design capable of withstanding communication interruptions and other failures, the Orion™ system is almost unstoppable. The Orion™ system also features an intuitive user interface design and tested usability, reducing training time and mistakes, while also providing all of the features you need right at your fingertips. Unlike many other systems, the user interface has also been specifically designed to be fast and responsive, reducing time and frustration for users and improving employee efficiency. Moreover, the modular design of the system allows you the flexibility to customize almost everything about it, from the user interface to the hardware components, to meet the needs of your business. Combine the Orion™ system with BitSpan™ wireless products to open a whole new world of possibilities. Wireless options allow everything from placing terminals in previously difficult locations up to taking advantage of the Orion Satellite System™ of wireless handheld terminals, providing the same best-of-breed user interface and convenience of the standard Orion™ terminal system in ultra-compact, portable handheld terminals which can go anywhere. For more information or a free consultation about how the Orion™ system can best meet the needs of your restaurant, please contact sales@foogod.com.